Good. Wrapped With CD! A sound copy with only light wear. Overall a solid copy at a great price! some highlighting All orders guaranteed and ship within 24 hours. Your purchase supports More Than Words, a nonprofit job training program for youth, empowering youth to take charge of their lives by taking charge of a business. WARNING: Lee Childs' books are hard to put down. Don't start one unless you have at least a hour to read. This Jack Reacher story has twists and turns and keeps your interest. It is hard to put this one down until the end. Jack Reacher has a crisis of self-doubt. This is almost as good as the other books in the series. 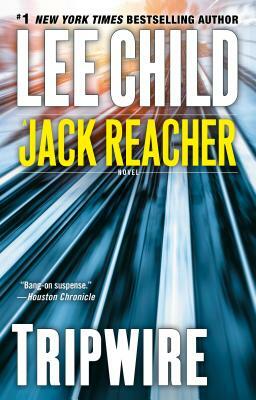 At one point, Reacher does experience a deuce-and-a-half load of self-doubt, and the big reveal is telegraphed way in advance, but still, it is a solid addition to a series that can always be relied upon to leave you saying, "Boy! I enjoyed that." We're not talking great literature. We're just talking about sitting down with a book in our hands and having a good time with a bigger-than-life hero who does what we fantasize about. Good book. Hard to put down. After readng I an ready for the next book in the seris.